KickO is based on the Cognitive Behavioral Therapy (CBT), which represents the gold standard for the treatment of obesity and overweight, focusing on dysfunctional behaviors, cognitive processes, unrealistic weight goals and body image perceptions. But it has been demonstrated that it has a low success rate. It is based on daily logs and the current existing tools used for therapists to collect data are written records and workbooks, but these tools have demonstrated to be poorly effective as they are a source of discomfort requiring a paper record, so patients end up not doing them or registering poor information. In this context, the clinical practice and research have demonstrated the important lacks of this traditional treatment, related with accessibility, cost, engagement and long term efficiency. So, there is a need of finding new effective long term approaches, that can be economically viable and that can reach a wide scope of population. Regarding this, new technologies can become a promising method and become an alternative to traditional treatments in order to reduce economic costs, reduce visit’s time and increase engagement; enhancing weight reduction, promoting healthy habits and weight loss attitudes. 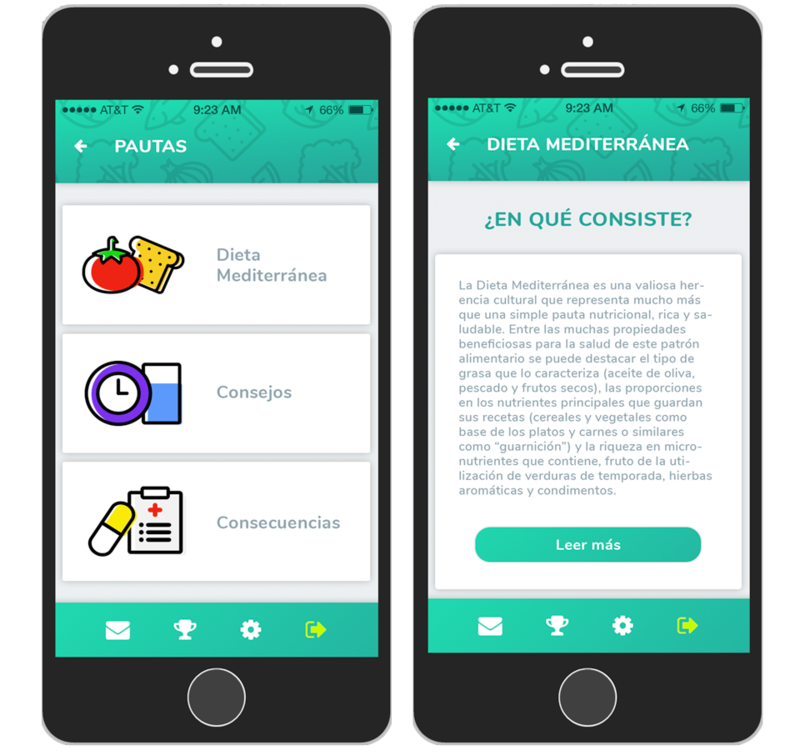 So, the mHealth approach has the potential to make contributions not only in adult obesity but also in pediatric obesity, thereby creating new treatment delivery methods that could increase participation, compliance and engagement. The poor effectivity is due to that CBT does not drives to direct behavioral change. KickO includes third generation therapies, which based on acceptance are becoming a promising framework for health, and for behavioural changes related with diet and phisical activity. 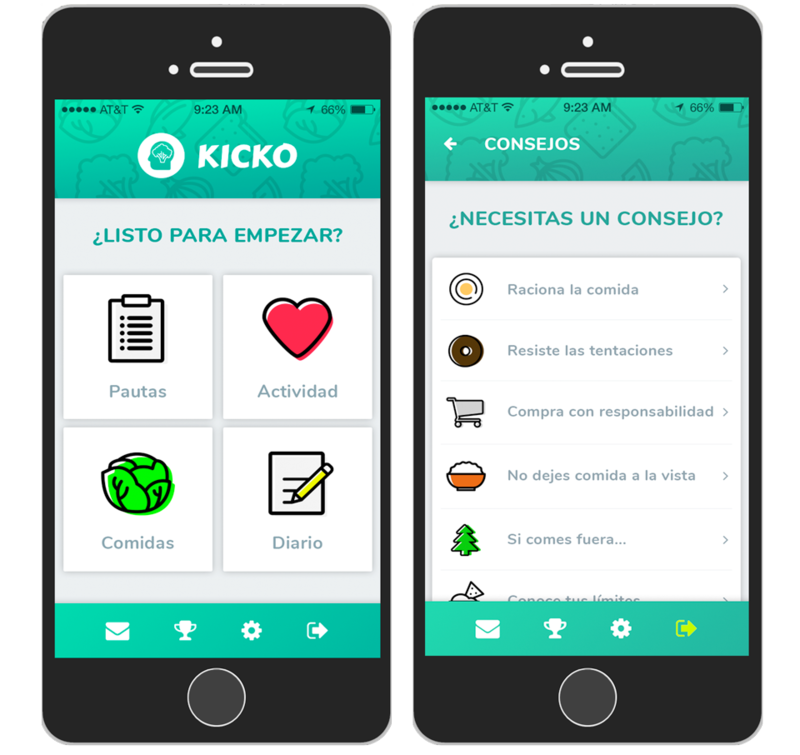 Concretely, KickO is based on the Acceptance and Commitment Therapy (ACT), which tackles directly the problem of eating without thinking through attention and sensitivity education designed to help patients on being conscientious of their perceptive, cognitive and affective experiences. Thus, the ACT is effective at short and mid term (6 months). ACT has been demonstrated as a very effective approach to tackle behavioral change by introducing recommendations and adjusted feedback. Therefore, the development of an ICT tool with personalized treatment methods based on a holistic approach, combining ACT with CBT, arises as a promising solution to provide more efficient treatment for obesity and overweight. KickO has been developed together with the group Clinical Research Brain, Cognition and Behavior of Consorci Sanitari de Terrassa with the leadership of Dr. Maite Garolera.